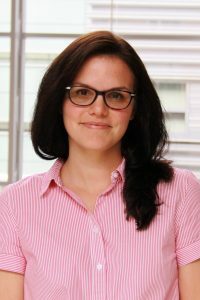 Dr. Clarissa Belloni is an Assistant Professor of Practice in the Department of Mechanical and Aerospace Engineering at Ohio State University. In addition she serves as an International Electrotechnical Commission (IEC) expert on river energy resource assessment and characterization, for which is developing industrial standards for hydrokinetic energy extraction. The current research of Dr. Belloni and her group is focussed on the analysis of hydrokinetic and low-head hydro power, building on her experience in tidal energy, wind farm aerodynamics as well as advanced thermodynamics cycles. Prior to joining OSU, Dr. Belloni served as an Assistant Professor Educator of Mechanical Engineering at the University of Cincinnati. In the past she was the head of R&D at Smart Hydro Power, developing hydrokinetic river turbines for rural electrification. Prior to her doctorate on tidal turbines, Dr. Belloni worked as a research engineer with GE Global Research in Germany, where she focussed on wind farm optimization and novel thermodynamic cycles. Dr. Belloni earned her Dipl.-Ing. (equivalent to a master’s degree) in Mechanical Engineering from the Technical University of Munich. She received her doctorate in Engineering Science from the University of Oxford.